GLAD Tours is here because we believe that Lansing is a wonderous place and we can't keep it a secret any more. It is our goal to not only entertain the visitors that come here now, but to pave the way for tourists that come to Lansing just because its a great place to visit. If you are coming from Holt or Hawaii, we believe that Lansing is the place to be. Winter, Spring, Summer or Fall there is something here for visitors from everywhere. 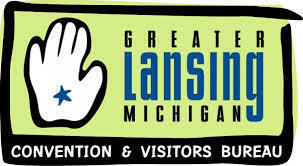 Greater Lansing Visitors and Convention Bureau and the International Associationof Amusement Parks and Attractions. Please visit their websites to learn more about them and the many other great members.